A comprehensive guide to charities and voluntary organizations in the USA and abroad. This book is an eye-opener and for some could be a life-changing influence. What impressed me most was not just the information but the guidance. I recommend this book to all age groups. It could really help make some good career decisions. 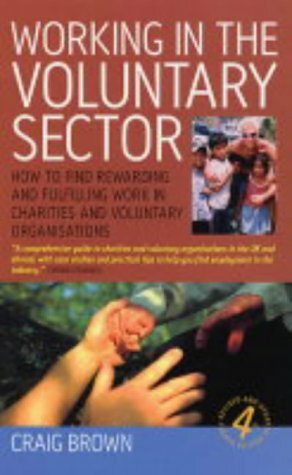 A comprehensive guide to charities and voluntary organisations in the USA and abroad, with case studies and practical tips to help you identify the skills needed to find employment in the industry. Packed with insightful information. Whether you want to devote your life to a cause, do paid or unpaid work in the USA or abroad, the opportunities are enormous. Craig Brown draws on extensive experience of working in the voluntary sector. He specialised in recruitment for an overseas charity. He is based in Leicester.